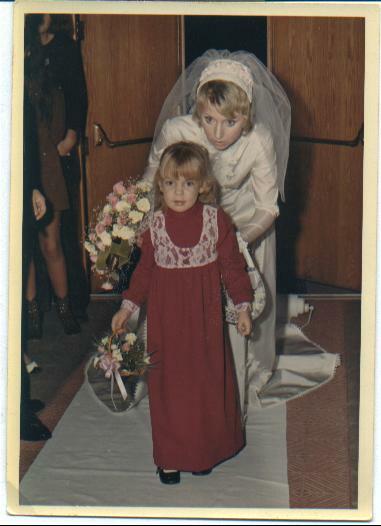 Yep…the little girlie in the polyester 70s nightmare on Sandra Cox’s blog was me. The blonde behind me is my Aunt Malita, who is by far the coolest aunt ever. She taught me all kinds of nifty things as a kid…how to read tarot cards, how to make a purse out of an old pair of blue jeans and she also let me help her make jewelry. She used to be a silversmith. I still have all of the pieces she made me. Today, Cindy will be headed to a different room and Carol Lynne will be joining us. And today I finally get to meet Kelly Kirch and Anny Cook – I’m soooooooooooo excited!!! Now Brynn and I are off to find Pittsburgh Pirates T-shirts for our kids. Arrrrghhh, matey! Good luck finding the shirts.Ellora’s Cave? Printing press? I thought they were an e-publisher. Explanation, please. Seriously pouting here. I want to be meeting everyone too! Pics please. Enjoy. I don’t know if I’m more jealous that you’re at RT or that you got to drive through my home state (Ohio) and see EC.